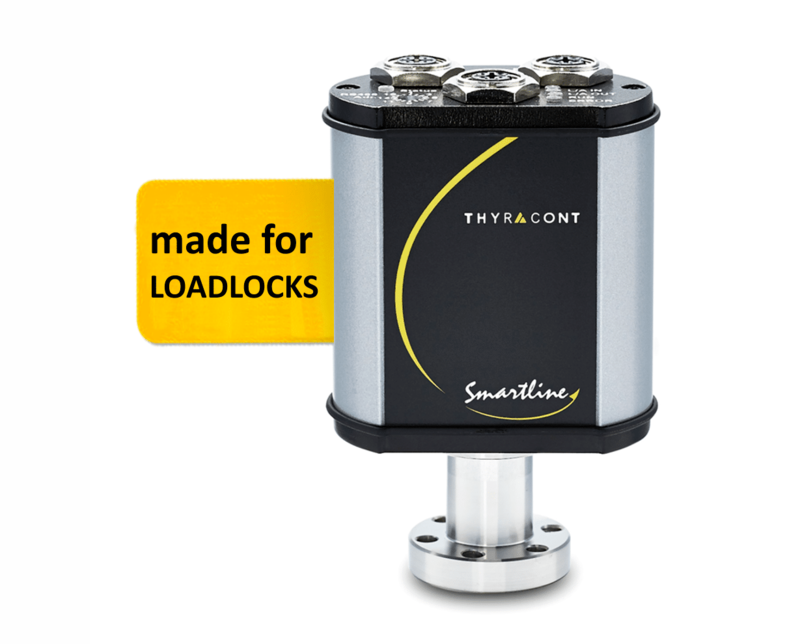 Thyracont Vacuum Instruments complements the well-proven Smartline product family with a new digital vacuum transducer. Especially developed for the purpose of measuring vacuum in loadlocks, the vacuum gauge is made to provide the optimal load lock venting and transfer conditions, to minimize process cycle times and to prevent contamination. The new vacuum transducer VSL measures absolute pressure in the range of 1200….1e-4 mbar as well as relative pressure in relation to the environment in the range of -1260…+940 mbar. The metal sealed gauge head uses multi sensor technology combining two piezo sensors with a Pirani. Users thus profit from a reliable, space- and cost-saving solution. This gauge is designed in particular for the challenges involved in load lock applications and easy to integrate in the plant control system. The VSL vacuum transducer includes two piezo-resistive diaphragm sensors to monitor the chamber during the pump-down and vent-up process. With its fast reaction time of 40 ms, outstanding accuracy (0,3% from scale end) and gas type independent measurement at atmosphere pressure, the gauge is ideally suited for load lock applications. In contrast to the prevalence in the market, Thyracont has not made use of an elastomer-sealed sensor for the measurement of relative pressure. Instead, the differential pressure signal is calculated from the absolute pressure inside of the chamber and the ambient pressure in order to guarantee the helium tightness of the metal-sealed set-up of the sensor. A Pirani sensor with a measuring range of up to 1e-4 mbar ensures optimal purity of the process by controlling the low-pressure transfer between the load lock and process chamber. Excellent long-term stability, outstanding repeatability and the individual temperature compensation of each sensor provide additional process safety. The VSL can be adapted to the requirements of the respective application and configured by the user himself thanks to the choice of different interfaces (RS485, EtherCAT and Profinet). Two independent relay set-points can be assigned to any of the sensor functions, e.g. reaching pressure equalization between chamber and environment. The big back-lit LCD display, which is optionally available, shows pressure readings directly at the loadlock.